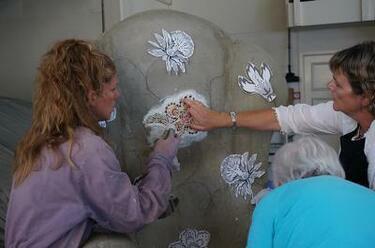 A photograph of a member of Crack'd for Christchurch putting adhesive on the back of one of their mosaic flowers. 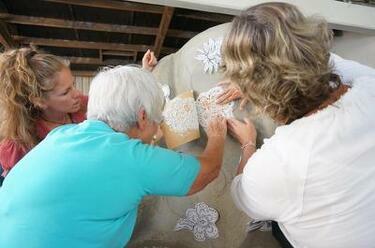 Crack'd for Christchurch comments, "Adhesive on the back of a flower. 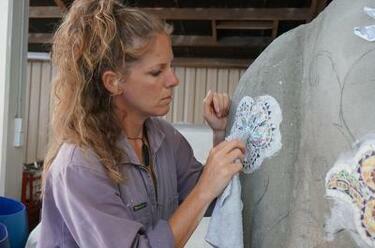 It took many tries to get the process right." 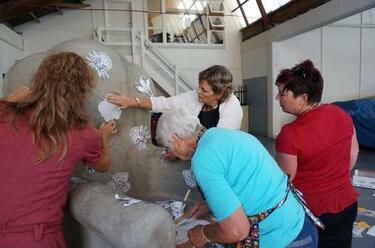 A photograph of members of Crack'd for Christchurch preparing to attach one of the flower mosaics to their armchair artwork. 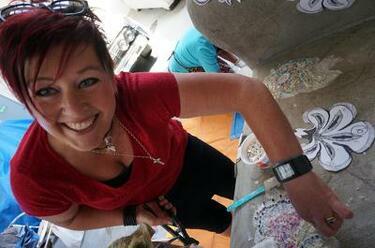 Crack'd for Christchurch comments, "Jennie Cooper and Jayne White." 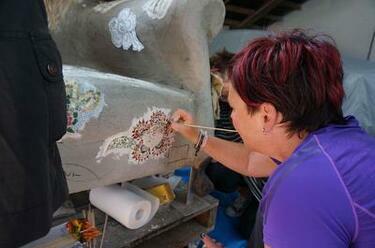 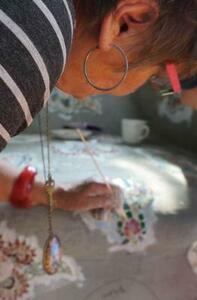 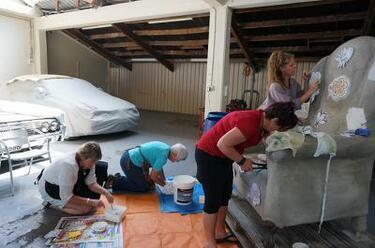 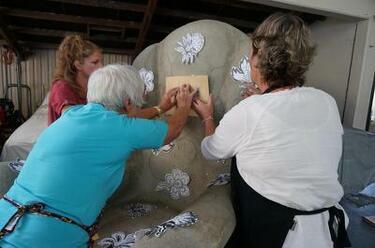 A photograph of members of Crack'd for Christchurch working to attach the flower mosaics to their armchair artwork. 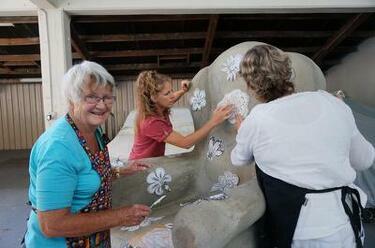 Crack'd for Christchurch comments, "From left: Jennie Cooper, Helen Campbell, Jayne White, and Marie Hudson." 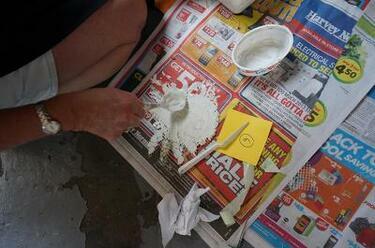 Crack'd for Christchurch comments, "Success!" 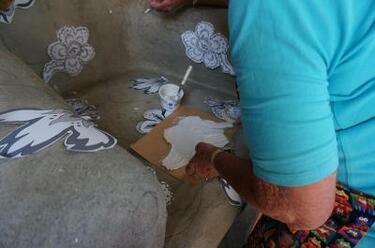 A photograph of Marie Hudson removing the excess adhesive from a mosaic flower on Crack'd for Christchurch's armchair artwork. 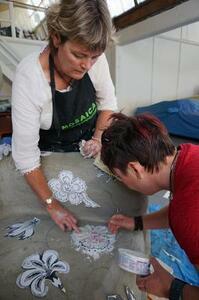 A photograph of Jayne White working to attach one of the flower mosaics to Crack'd for Christchurch's armchair artwork.